This is just spectacular. Words cannot describe how beautiful this piece is. Any room would immediately be bolder, more interesting, and captivating with this piece in it. The abstract design is very appealing to the eye, and a perfect addition to a modern art collector's addition. 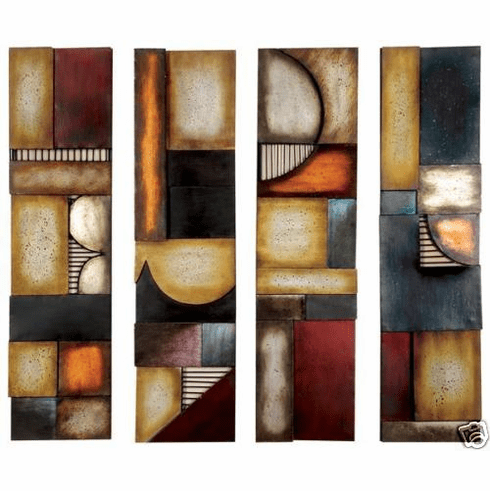 Set of four piece hand-painted picture wall decor made by wrought iron metal. The size is 31x8" for each of piece.